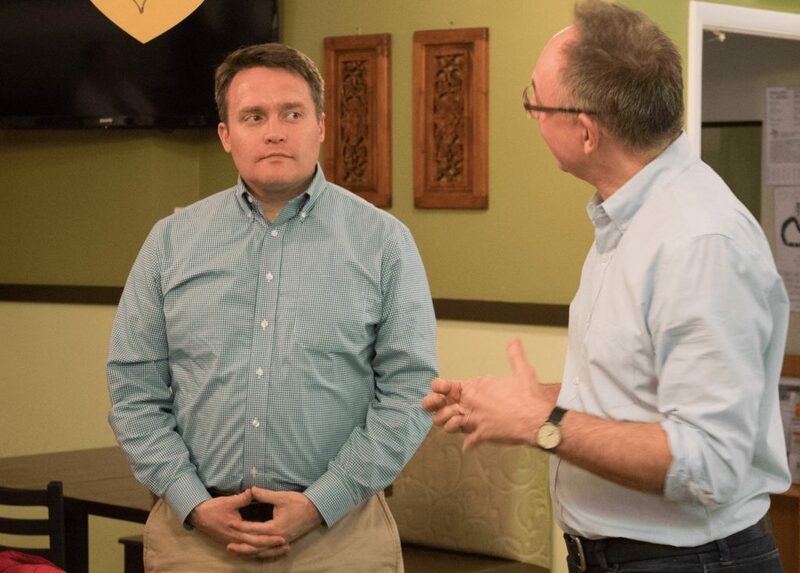 Matt de Ferranti scored a decisive, 20-point win in his bid to become the Democratic nominee for the Arlington County Board — but with that success comes the daunting task of figuring out how to beat an incumbent who twice put up double-digit margins of victory four years ago. De Ferranti, an advocate for Native American education, didn’t have much trouble overcoming cybersecurity professional Chanda Choun in yesterday’s primary. He earned more than 7,000 of the roughly 11,500 votes cast, and lost just two precincts to Choun, even though both were first-time candidates. Yet the real challenge for de Ferranti will be translating his primary victory into a win this fall against independent John Vihstadt, who won both a special election and general election in 2014 after assembling a unique coalition of disaffected Democrats, Republicans and even local Green Party supporters. Other observers, however, are less optimistic. While de Ferranti did win handily, he also ceded roughly 40 percent of the vote to a candidate in Choun who was broadly unknown in political circles before suddenly jumping into the race in February. Even with predictions of a “blue wave” election in November, it might not be enough to get de Ferranti over the top. In particular, Tribbett points to the anemic turnout in the primary as reason for de Ferranti to be concerned. Though he never expected voters to flood to the polls for a local primary, he noted that Alexandria’s mayoral primary attracted roughly 10,000 more voters to the polls than the County Board race did. The primary turnout represented just 7.7 percent of the county’s registered voters, according to the Arlington elections office, and did pale a bit in comparison to even past Board primaries. For instance, more than 15,200 people cast ballots when Erik Gutshall challenged Libby Garvey in 2016, and nearly 20,000 participated in 2015’s six-way race. De Ferranti, however, said he was generally “pleased” with the turnout in the primary, especially considering that there wasn’t any other race at the top of the ballot to attract Democratic voters — neither U.S. Sen. Tim Kaine (D-Va.) nor Rep. Don Beyer (D-Va.) drew primary challengers. Yet Tribbett wonders just how inspiring de Ferranti will prove to be for Democrats who backed Vihstadt last time around, and even some who are considering doing so again this year. Garvey has already announced her intentions to support the independent once more, as have Democrats in two countywide offices: Treasurer Carla de la Pava and Commonwealth’s Attorney Theo Stamos. None of the other three Democrats on the Board have lent the newly minted nominee their support as of yet — Cristol, for her part, said she’s “not ready” to discuss who she’ll be supporting — but de Ferranti believes he’ll have no trouble outlining his case against Vihstadt for skeptical Democrats.